You are currently browsing the Athletic Tape Info Center blog archives for October, 2009. 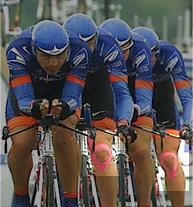 Successful Kinesio Taping is both a science and an art. The science requirements include an in-depth knowledge of anatomy, the mechanisms of injury, and the effects of different taping techniques. The art requirements revolve around designing and cutting an optimal taping configuration for each individual. The blank canvas is a 16′ long x 2″ wide roll of Kinesio Tex Tape. The artist’s tool is a pair of sharp scissors. Unlike traditional athletic taping, which usually consists of tearing strips of tape from a roll and wrapping them tightly around an injured area, Kinesio Taping is much more varied and intricate. 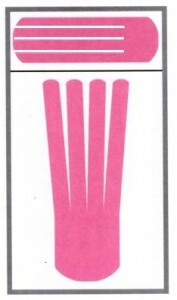 To achieve optimum results, a variety of taping configurations or “cuts” are required. This is the first in a series of posts examining the different cuts that can be used to create effective Kinesio Tape applications. 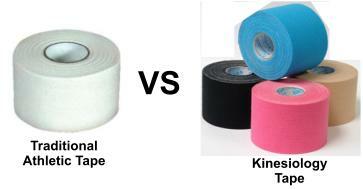 The “I” strip is the most basic of Kinesio Tape cuts. 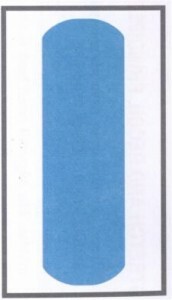 The “I” Strip can be used for: (a) pain relief following an acute muscle injury, (b) reduction of swelling and edema, (c) mechanical correction of improper movement patterns. 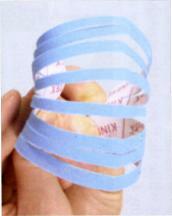 To create an “I” strip, simply cut a piece from a roll of Kinesio Tex Tape, and then round the corners. This helps prevent the corners from catching and loosening prematurely. 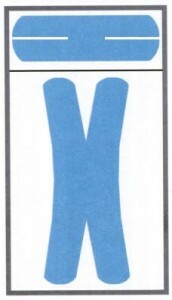 An “I” Strip is applied directly over the area of injury or pain. 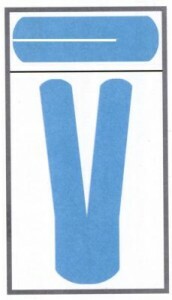 The anchor ends of the tape (approximately 1″ from each end) should be applied with not stretch, while the center of the tape should be applied with a light to moderate stretch. 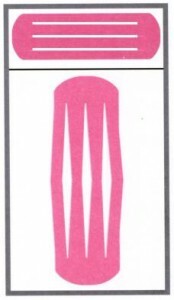 When the taping has been completed, the taped area should appear convoluted, showing the lifting action of the tape on the skin. 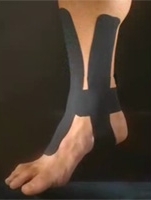 This is the third in a series on kinesiology taping techniques to relieve swelling and edema. My first post explained how the unique properties of kinesiology tape allow it to achieve this goal, and my second post showed step-by-step instructions for a lymphatic thigh application. The following video shows Dr. Kevin Jardine, creator of SpiderTech Tape precut kinesiology taping applications, demonstrating how to do a lymphatic application on an ankle. This type of application would benefit individuals with ankle injuries as well as those with health conditions that result in swelling and edema of the ankles.